Country music&apos;s biggest event of the year took place last week in Nashville: the CMA Awards (Country Music Association Awards). 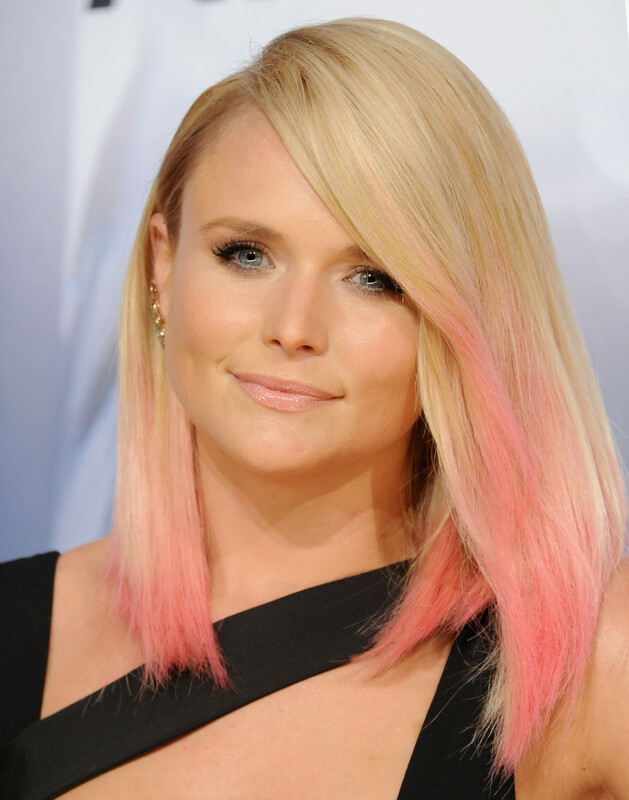 Miranda Lambert at the 2015 CMA Awards. 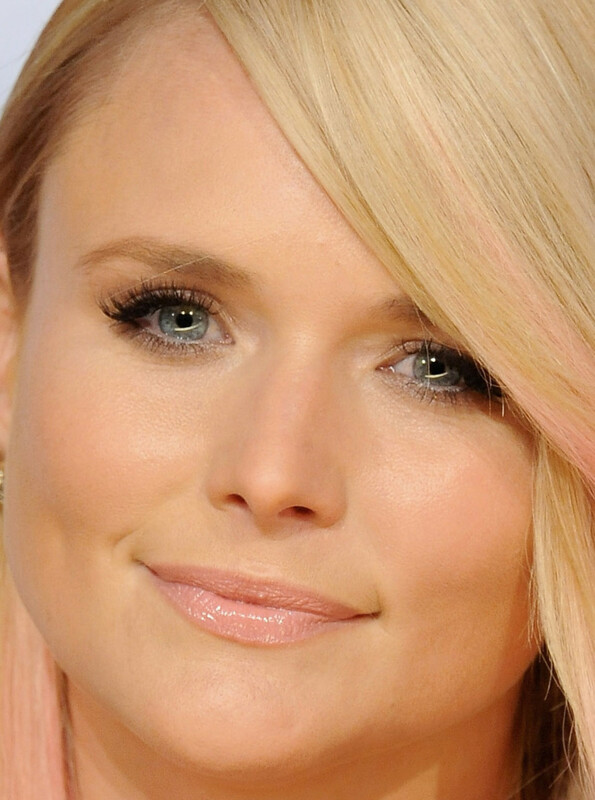 Close-up of Miranda Lambert at the 2015 CMA Awards. 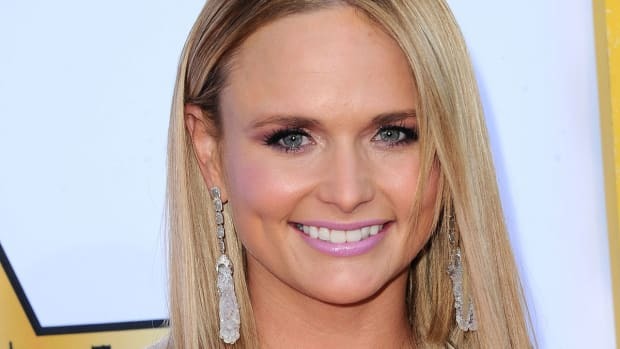 Miranda wins the night! Yeah, she is like three years late for the pink hair trend, but even still, it looks really good on her (and casts a beautiful glow on her skin). Compared to her red carpet looks of years past, this new, natural Miranda is a mega-improvement. Makeup is so subtle, I&apos;m not even going to nit-pick on the bottom lip liner or false lashes. Hannah Davis at the 2015 CMA Awards. Close-up of Hannah Davis at the 2015 CMA Awards. Hannah, to jog your memory, is that Sports Illustrated cover model and also Derek Jeter&apos;s new fiancée. She is obviously stunning, but I dunno... I guess I expect models to have a more current fashion sense than this. I can&apos;t quite put my finger on what exactly feels dated; it&apos;s more just the sum of all the parts. 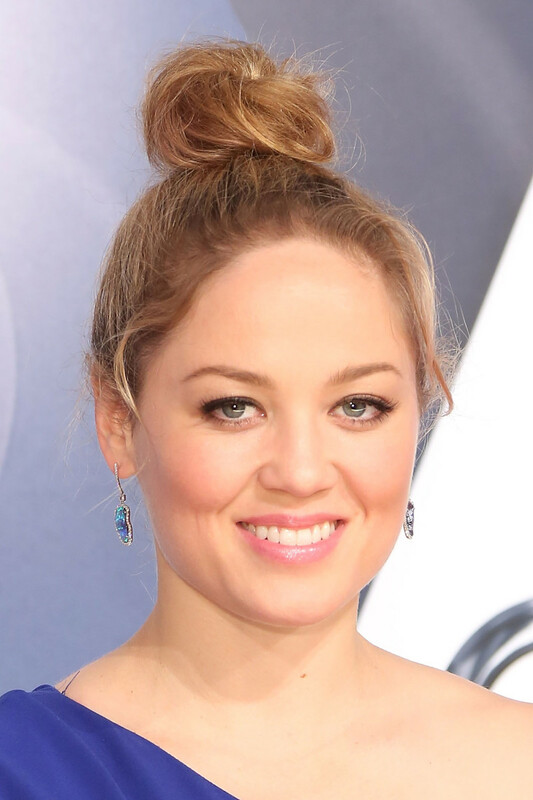 Erika Christensen at the 2015 CMA Awards. Close-up of Erika Christensen at the 2015 CMA Awards. So cute! If I had to choose a look here that I&apos;d actually wear myself, it would have to be Erika&apos;s top knot and sheer pink gloss. It shows off her great skin and she looks fresh, young and effortless. I also appreciate that she didn&apos;t jank it up with bad lashes. I think she could&apos;ve gone for more dramatic, show-offy earrings. Carrie Underwood at the 2015 CMA Awards. 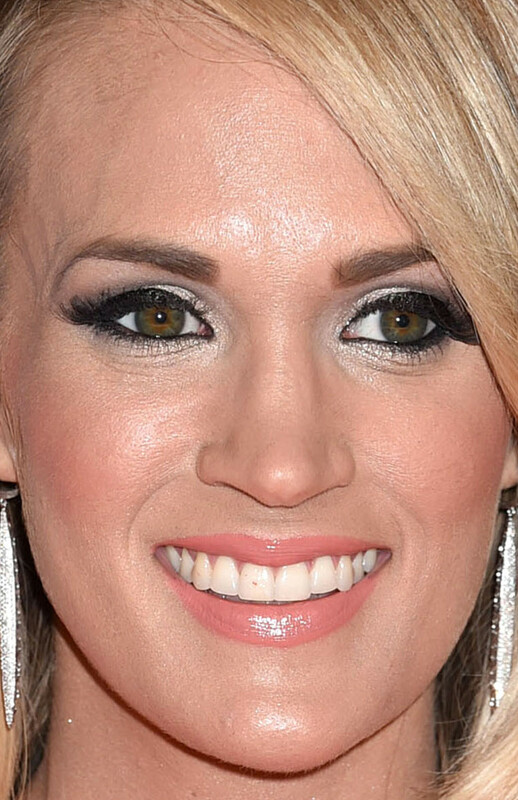 Close-up of Carrie Underwood at the 2015 CMA Awards. Each year, I eagerly anticipate this event just to see what variation on overdone makeup and fake tan that Carrie will have next (but obviously hoping she&apos;ll surprise us one day by looking fresh!). Alas, not this time. 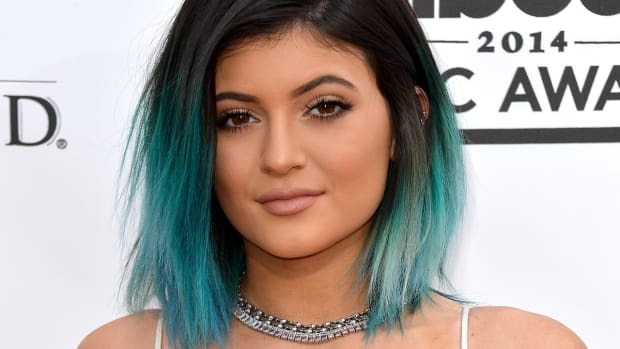 The black eyeliner, frosty white shadow and over-the-top false lashes makes her look so harsh, and frankly, tacky. As always, her faux tan is too dark and almost pink! The pencilled-in brows and bold blush contribute to the heavy feel. There is nothing soft about this and it all detracts from her beauty instead of enhancing it. Cassadee Pope at the 2015 CMA Awards. Close-up of Cassadee Pope at the 2015 CMA Awards. Carrie should take a cue from Cassadee, because she knows what&apos;s up. This is a very pretty take on the textured side bun, with just the right number of side bits pulled out to frame her face. I always love seeing her nose freckles, and the makeup is nice and neutral—just a sheer pop on the lips is all she needs. Aubrey Peeples at the 2015 CMA Awards. Close-up of Aubrey Peeples at the 2015 CMA Awards. When I first saw this pic, I thought Aubrey looked pretty cute... until I noticed her under-eye concealer. I don&apos;t know if it&apos;s meant to "colour-correct" or is just the wrong shade, period. But better to just rock your dark circles instead of having crepey yellow under your eyes! Aside from that, I like her makeup and full brows. I&apos;m also kind of into the roll thingie on the one side of her hair. 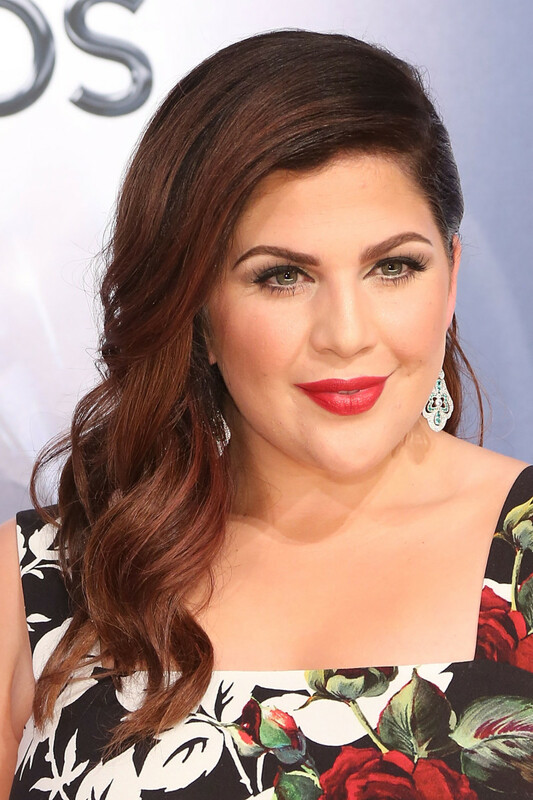 Hillary Scott at the 2015 CMA Awards. 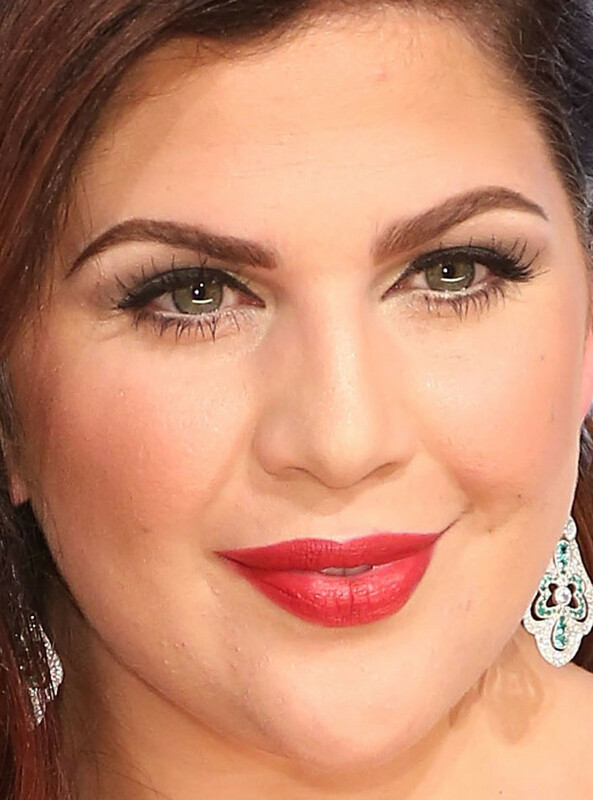 Close-up of Hillary Scott at the 2015 CMA Awards. I don&apos;t dislike what Hillary is doing here, which is classic Hollywood glamour: a red lip, black liquid liner, sculpted brows and side-swept waves. It&apos;s a tad predictable, and I would prefer less drawn-on brows and softer blush. But overall, she looks pretty good. Kellie Pickler at the 2015 CMA Awards. 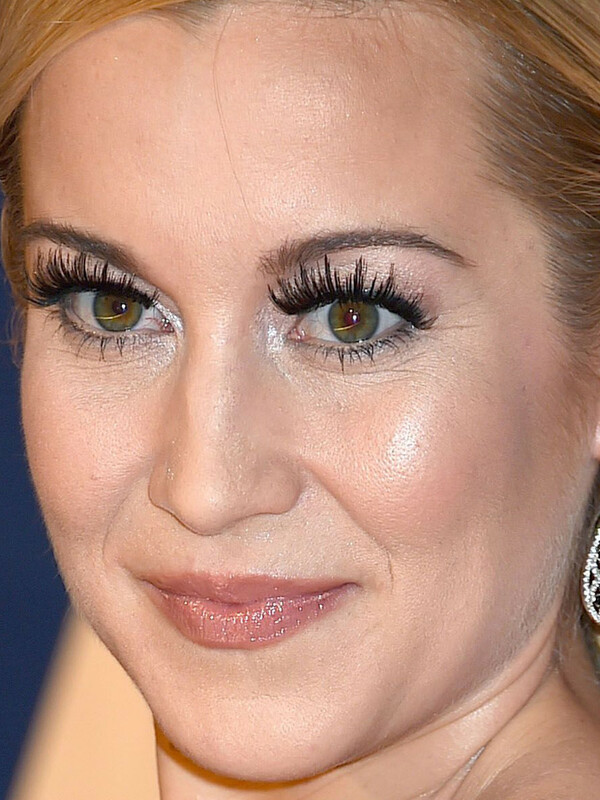 Close-up of Kellie Pickler at the 2015 CMA Awards. Kellie was so close to greatness! But these weirdo lashes ruined it all. What on earth was she thinking?! I can&apos;t even imagine. Otherwise, I really love the soft lip gloss, rosy blush and sleek hair tucked behind her ears. I&apos;m actually sad about the lashes interfering! Kacey Musgraves at the 2015 CMA Awards. 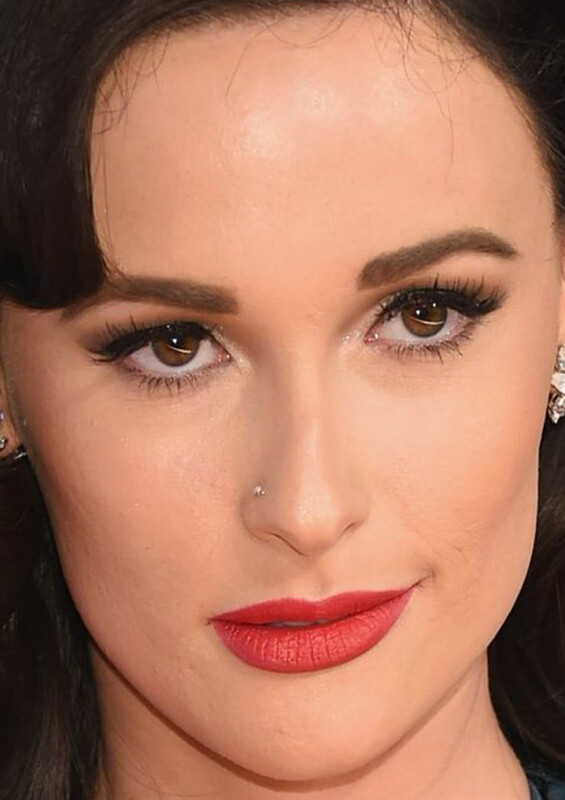 Close-up of Kacey Musgraves at the 2015 CMA Awards. We can always count on Kacey to do something costumey. This year, it&apos;s textbook Old Hollywood (which is at least better than the crazy beehive hair in 2014). But still. It never looks modern when you execute it so literally. Her hair looks too stiff and the brows, lashes, lipstick and contouring are too much all at once. 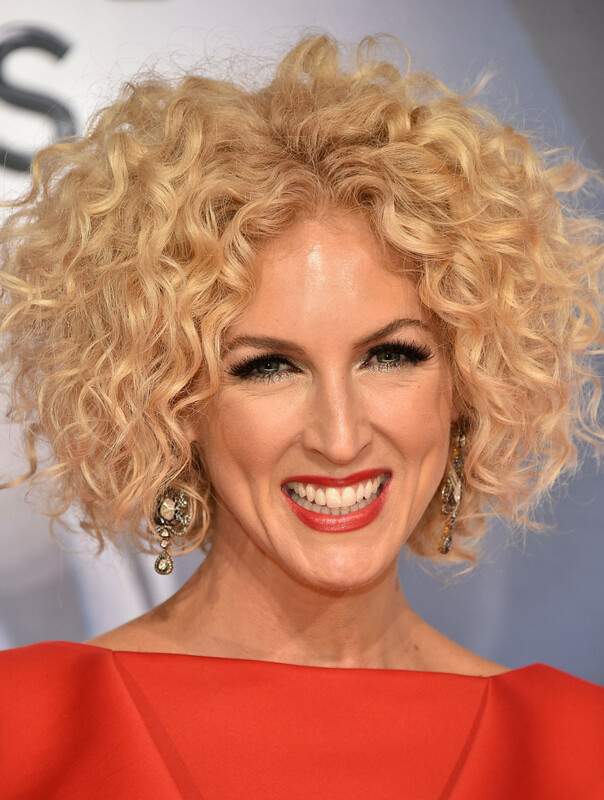 Kimberly Schlapman at the 2015 CMA Awards. 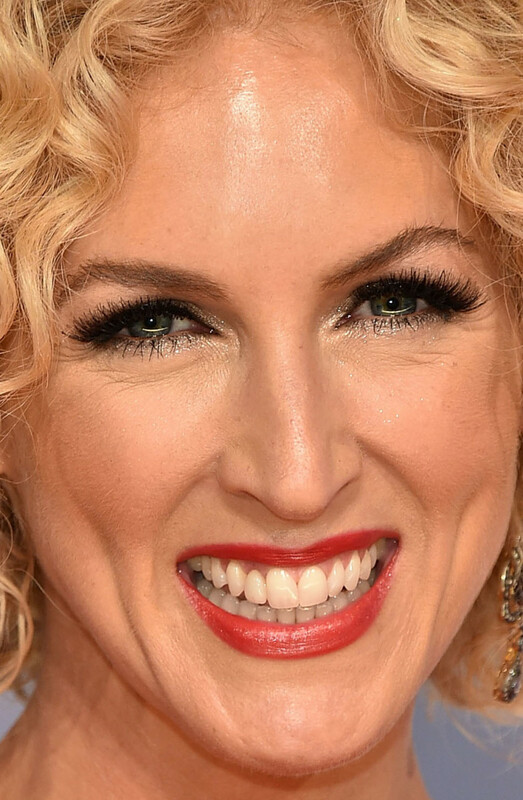 Close-up of Kimberly Schlapman at the 2015 CMA Awards. I&apos;m adding Kimberly to my list of curly beauties. I would MUCH rather see beautiful natural hair textures like this, instead of people fighting nature and straightening their hair to death (or worse, doing "mermaid waves," which we&apos;ll get to in a sec). I&apos;m not crazy about her false lashes, but her hair and the red lips are amazing. Kelsea Ballerini at the 2015 CMA Awards. Close-up of Kelsea Ballerini at the 2015 CMA Awards. Here&apos;s what I meant re: mermaid waves. Sooo dated! The fact that the ends were left straight really doesn&apos;t help. Kelsea&apos;s makeup feels dated also, thanks to the ridonkulous lashes, heavy use of shimmer shadow and attempt at faking big lips with unblended lower lip liner. Eeks! Jana Kramer at the 2015 CMA Awards. Close-up of Jana Kramer at the 2015 CMA Awards. Jana has such a pretty face, and is pregnant now, so has got that extra glow. But her highlights are really bothering me. They are too light and streaky, and the piecey waves do not help (they need to be brushed out). With her heavy eye makeup and over-plucked brows, it&apos;s just not a current look. Trisha Yearwood at the 2015 CMA Awards. Close-up of Trisha Yearwood at the 2015 CMA Awards. The dress and jewellery are all wrong, but I actually like Trisha&apos;s hair and makeup. She looks good with her hair all sleek and pulled back, and the makeup is very flattering to her skin tone. (And age-appropriate—she is 51.) The smudginess works well around her eyes, and the opaque peach gloss is seriously cool. Danielle Bradbery at the 2015 CMA Awards. Close-up of Danielle Bradbery at the 2015 CMA Awards. More dated makeup that is stealing the pretty. False lashes, fake tan and contouring are wreaking havoc with Danielle, who would look so much better au naturel. I don&apos;t mind the black liner and pale lips, but the heavy brown eyeshadow does not belong. Also, what is going on with her hair? WTF? Ashley Monroe at the 2015 CMA Awards. Close-up of Ashley Monroe at the 2015 CMA Awards. Last look of the day is Ashley, and it&apos;s rather ghoulish. If you look her up, she is actually quite a pretty lady, so it is extra-perplexing that she stepped out in this scary eye makeup, yellow foundation and white hair. How did this happen? Who is styling these people? And how do they think this is an improvement? I&apos;d rather be photographed with no makeup at all, and that&apos;s saying something! 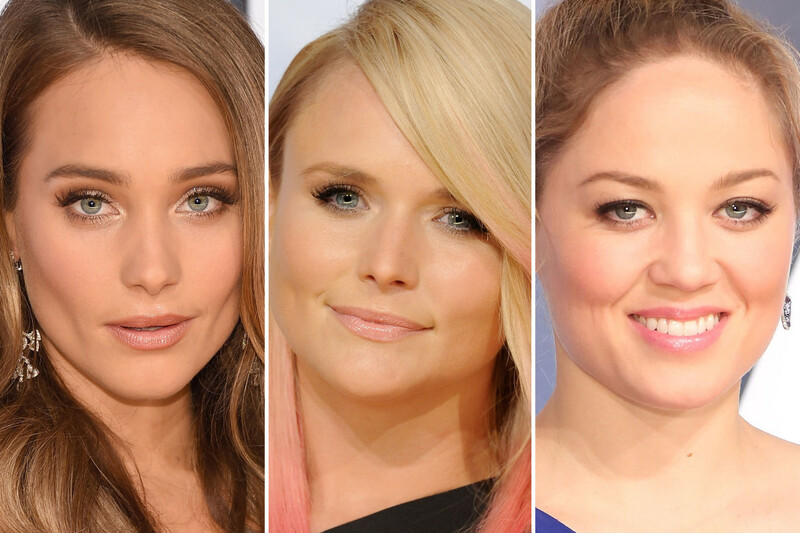 Miranda Lambert, Reese Witherspoon and more.